Clocking in at 6′ 5” and 310 lbs. 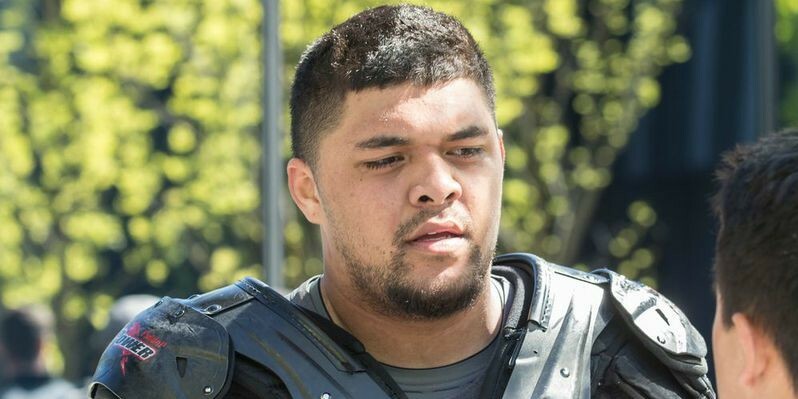 is senior and new Oregon player OL Haniteli Lousi. Oregon fans should be thrilled and excited for this gargantuan who transferred to the UO from College of San Mateo located in northern California. 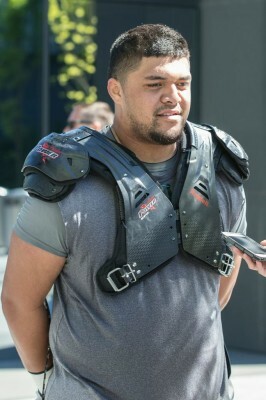 I had the honor and great opportunity to interview Lousi at the Hatfield-Dowlin Complex and ask him several questions revolving around his future as a Duck. Despite transferring to Oregon this spring, Lousi seems to be fitting in with the football squad fabulously. He mentioned how at first, it was awkward being that “transfer guy,” but all of that went away after spending some quality time with players and coaches. As you can see, Haniteli Lousi is a behemoth that will be a great addition to the offensive line. As most Duck fans know, Oregon’s offense is mostly centered on the run game, with players such as RB Royce Freeman leading the charge last season. During his last year at College of San Mateo, Lousi assisted the highly regarded rushing attacks (340.5 avg) in the JC ranks. Without hesitation, I asked him about whether Oregon’s run game was the key component that attracted him to the school. “Not really, it was more about the culture here in Oregon. Everyone here is close together and treat each other like family,” he said. Evidently, Lousi is a family-first man, similar to former Oregon QB Marcus Mariota who enjoyed spending time with those closest to him. It’s clear that Lousi feels accepted by the Ducks and absolutely can’t wait to step on the field with his brothers. The final question for Lousi was to give me a fun fact about himself. Who would have ever known that a man of his stature played tennis as his first sport? It’s common for college football players to say that football or even basketball was their first sport, but not for Lousi, who also mentioned that he was born in New Zealand and eventually moved to California during the late ’90s.